The hippocampus has been considered responsible for the formation of episodic memory. It has also been pointed out that the hippocampus plays an important role in imagination, which is related to future events. The fact that atrophy of the hippocampus could lead to Alzheimer’s disease implies that the network structure of the hippocampus may provide fields for the creation of internal time corresponding to the past, present, and future. We present a hypothesis that the hippocampus plays a role in the formation of self-identity via interactions with the lateral prefrontal cortex. 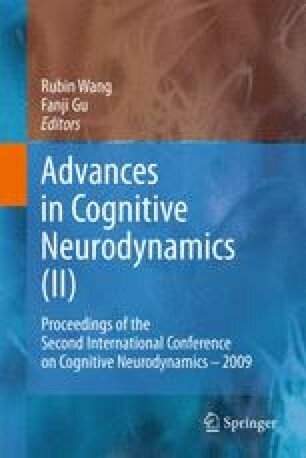 The author would like to express his special thanks to Minoru Tsukada, Yasunori Fukushima, Shigeru Kuroda, and Yutaka Yamaguti for their invaluable discussions on both theoretical and experimental studies of the hippocampal function. This work was partially supported by Grant-in-Aid for Scientific Research – on Priority Areas “Integrative Brain Research” (18019002), partially supported by Grant-in-Aid for Scientific Research on Priority Areas “Understanding of Mobiligence” (18047001), partially supported by Grant-in-Aid for Scientific Research (B) (18340021), and partially supported by Grant-in-Aid for Exploratory Research (17650056) – all from the Ministry of Education, Culture, Sports, Science and Technology of Japan.